As we flock to the Internet for e-commerce, social media, and file-sharing, we need to protect our privacy against hackers and government surveillance agencies. Virtual Private Network (VPN) is a popular tool in the fight against privacy violations. Those who are unfamiliar with the technology need an easy way to try it out before embracing it. This article evaluates NordVPN, a VPN service provider, on how easy it is for VPN newbies to catch on. A VPN protects your privacy by re-routing your Internet traffic to a VPN server via a secure tunnel before forwarding it to the intended destination. 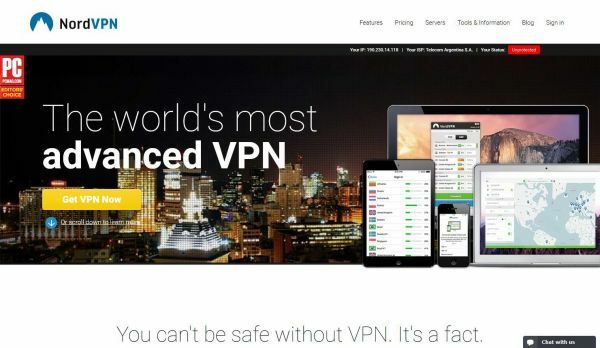 NordVPN operates a global network of 3000 VPN servers spanning 61 countries. When you evaluate a VPN vendor, you should consider the speed and stability of the connection to the VPN server closest to you. Most VPN vendors, including NordVPN, do not publish meaningful statistic to help you in that investigation. The only way for you to find out is to actually test the service. 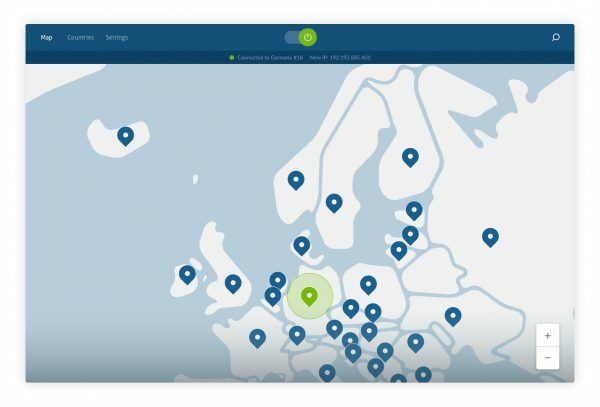 NordVPN provides a free trial which can be found on their website. Users just need to signup to start testing the service at no cost. The free trial is for 3 days only. This is a relatively short trial when other vendors offer 7 to 14 days. Despite its short duration, we recommend that you take advantage of the trial. Are the VPN servers deployed in the locations that you want? 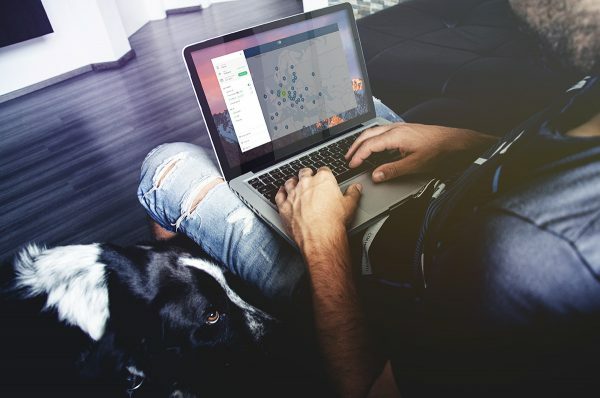 The free trial allows you to connect to any VPN server in the NordVPN network. But for the VPN service to be useful to you, you should make sure that NordVPN has at least 1 server deployed in your home country and in any country that you intend to travel to in the near future. Is the VPN connection stable? You should evaluate if VPN connections are stable, i.e., it does not disconnect unexpectedly. Is the speed performance adequate? Many VPN vendors identify the cities, not just the countries, in which their VPN servers are deployed. But, NordVPN does not. So, even if a VPN server is located in your home country, you don’t know how far it is to your location. It is critical that you test out the speed of your VPN network connection during the trial. NordVPN offers 3 subscription plans which differ in the length of the contract. Specifically, you can subscribe for 1, 6 or 12 months. Their 1-month plan is the most expensive, and costs $11.95 (USD) per month. The annual plan is priced at $6.99 per month. Special offer: 2 Years for $3.99/month (66% Discount)! 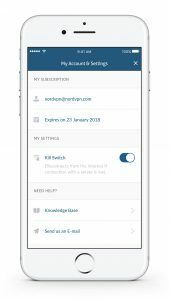 You can sign up for a paid plan from the NordVPN website, or directly from your iOS or Android smartphone. If you sign up on the website, you can pay using a major credit card, PayPal, or Bitcoin. If you sign up from a smartphone, you pay via the Apple store or Google Play. The method you choose will have implications on anonymity protection and refund eligibility. The refund policy is explained in the Terms of Service document. Purchases made through the Apple store or Google Play will not be refunded by NordVPN. This may sound harsh, but you will find that other VPN vendors have similar policy regarding those types of purchases. A refund is only guaranteed if you cannot connect to the VPN at all. If you experience slow connections or intermittent disconnections, granting a refund is totally up to the discretion of NordVPN. That is why testing the service in the free trial is so important. Bitcoin payments are generally recommended by the security experts because it is a digital currency that you can purchase and circulate anonymously. However, the anonymity that it offers comes with a cost. Bitcoin transactions are irreversible, and can only be refunded by the vendor. But it seems like NordVPN even refunds Bitcoins if users aren’t satisfied with the service. If you are new to VPN, we suggest that you test out the NordVPN service in a free trial before you purchase a subscription. Purchases should be made through their website. If anonymity is of paramount importance to you, you should pay using Bitcoin even though the purchase will be non-refundable. Trial Details3 Days Free Trial + 30 Days Money Back Guarantee!